My 3rd great-grandmother Helena (nee Åman) Tolf died 13 Jan 1901. According to her obituaries, she died in Batavia and is buried at West Batavia Cemetery. But neither Kane County nor the cemetery has any records of this. If that was the case, would a funeral home be involved? I imagine someone in an official capacity would have had to move her body from the house to the church and then to the cemetery. My hope is that records of this exist. Is anyone on the list familiar with funeral homes that may have existed in Batavia in 1901? And would you know if records exist today for these establishments? Perhaps someone can point me toward extant records from the McKee Street Church? I sent a request to the Batavia Historical Society RE funeral homes last week but haven’t heard anything yet. “Subject: Re: [ILKANE] Batavia funeral homes in 1901? You may want to visit the Kane County Genealogical Society when you visit in April. We have indexed the Skoglund Funeral Home records and it is possible that information about the person of interest is there. Our office hours are 12-4 on Thursday afternoons. However, if this is not convenient, we can schedule pre-arranged alternate times. 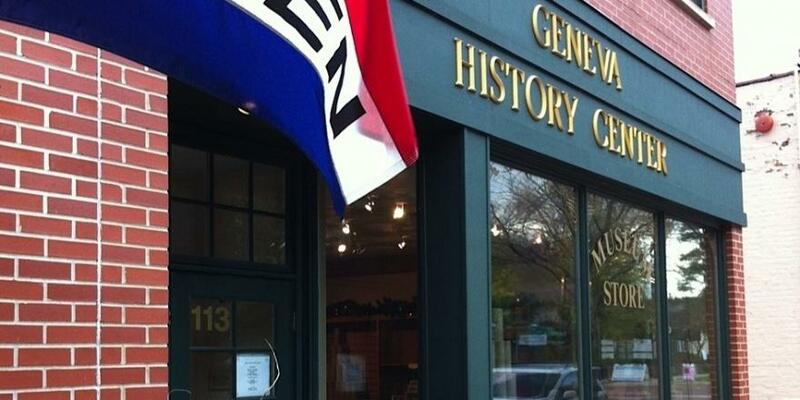 This schedule is dependent upon when the Geneva History Museum is open. Generally, they are closed on Sundays and Mondays. Our office is located on the lower floor of the History Center. The address is 113 South Third Street Geneva. If you would like more information please contact us directly at kcgsinfo@gmail.com. Husband and I arrived at the Museum about 2pm Thursday. There is a reception desk just inside the door. After greeting us, the woman seated there asked if we had an appointment. I said we didn’t, but I had been encouraged to view an index held by the genealogical society. She directed us to the lower level. A small group of people were gathered in the research room near the bottom of the stairs. Two people were viewing films at separate readers and a couple people were looking at an old record book. One woman looked up and asked if she could help us. “Let’s take a look,” she said and led us to a small office nearby. The funeral home database contains more than just the Skoglund records. The woman searched the database for Helena Tolf and variations thereof. No luck. She asked about a maiden name (Åman) and searched again. No luck. There were a group of Omans – the way Åman is pronounced – and the database directed us to the specific microfilm on which those records would appear. Our genealogy guide found the film, loaded it on the reader and scrolled through pages and pages of church records. The result? Omans who were part of a church confirmation class. Drat! Suggestions were offered for alternative methods of tracking down Helena’s elusive final resting place. I’d already tried all of them. Double drat! I mentioned that my next stop was to be the Batavia Public Library. I thought a city directory might list funeral homes in existence at the time of Helena’s death. Maybe they would have a record of the funeral and information about her burial. This idea was met with affirmative nods all around.